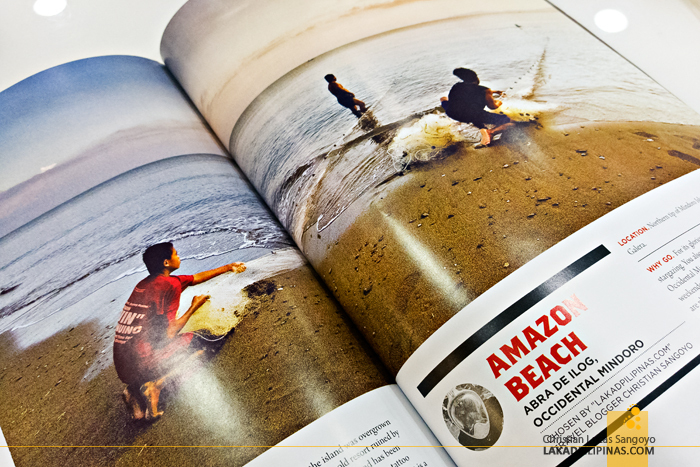 A few photos I took on the provinces of Sorsogon, Masbate, Occidental Mindoro, Leyte, and Cagayan Valley, made its way to the pages of Inflight Traveler’s most recent issue. 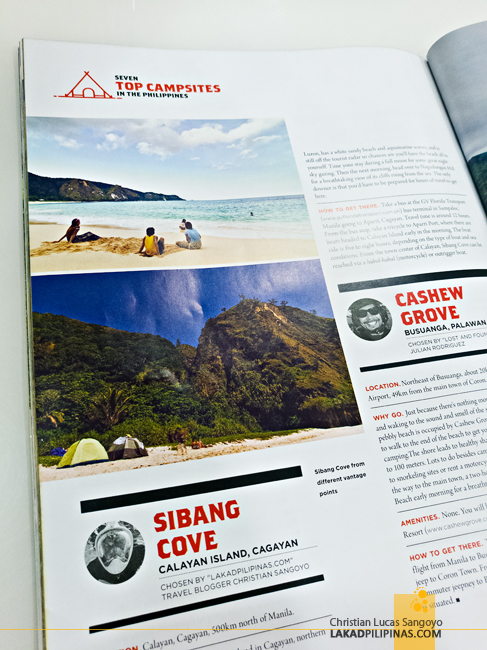 Still on major bookstores and select café’s, the March to May issue features the seven best campsites in the country—three of which I contributed, namely Amazona Beach in Abra de Ilog, Kalanggaman Island in Palompon, and Sibang Cove in Calayan Island—which I have yet to blog. 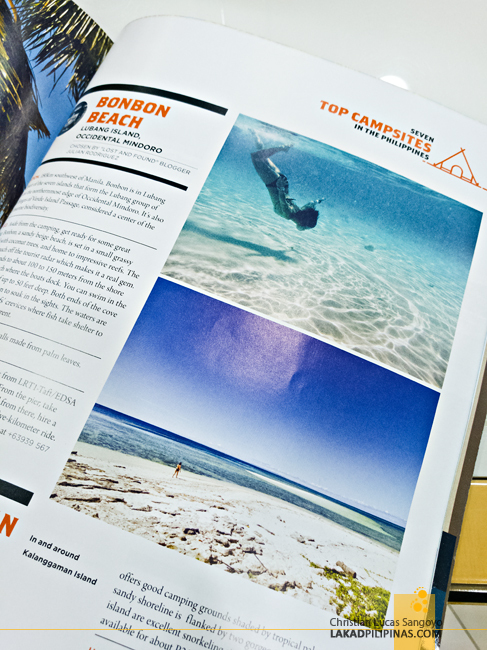 These are all from non-sponsored trips I took during my heydays as a backpacker, lol. 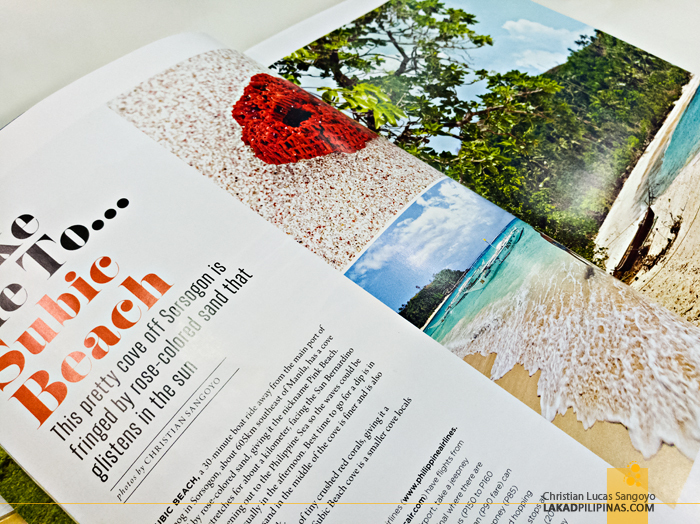 The rest of my photos are featured on the magazine’s Take Me To… section—images from Subic Beach in Matnog and Bongsalay Nature Park in Masbate. 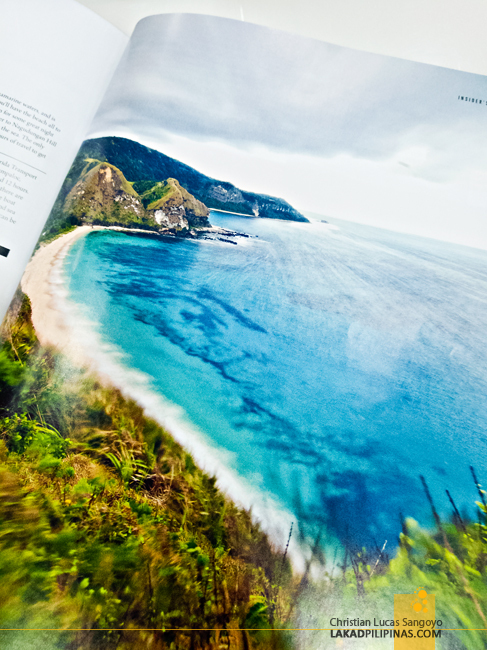 These are from the Action ALMASOR assignment I did with Inflight Traveler for their Bicol special a couple of summer ago. 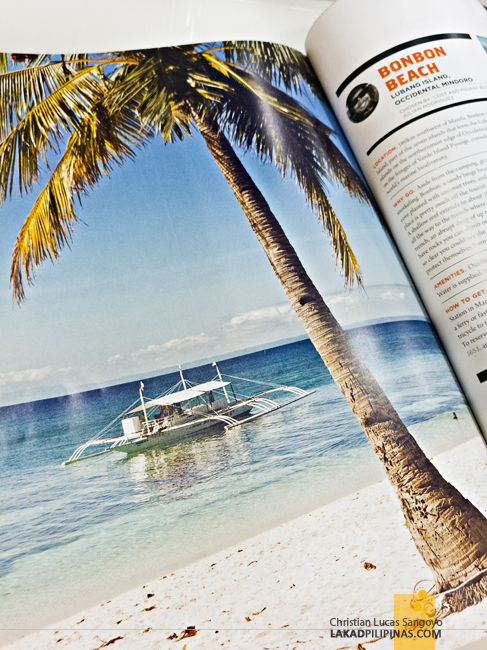 As a bonus, they also included a snap of Sima Hotel in Sorsosogon, one of the places we stayed at during that same assignment.